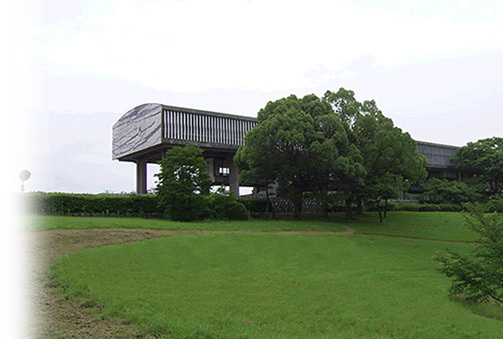 The Aichi Geidai (the Aichi Prefectural University of Fine Arts and Music), designed by one of Japan’s leading architects of the modern era, was founded in 1966. The worth of the Aichi Geidai is not only its architectural importance but also its surrounding natural habitat of over 45 hectares of land containing endangered species of flora and fauna. This uniquely valuable campus is now in danger and is about to disappear. We are collecting petition signatures on the web to protest the demolition of the campus, which is already in progress. We appeal to the following authorities to STOP and RECONSIDER the renovation project at once. Ministry of the Environment. Ministry of Education,Culture, Sports, Science & Technology in Japan, Aichi Prefectural Government, Public University Corporation. Please click on the left button and go to the online petition site.